In 1515 The Spanish conquistadores found that the Argentine indigenous Guarani Indians were enjoying good health, vitality, longevity and using Yerba Mate as medicine, food and drink. The Guarani also used Mate as a currency and considered this medicinal herb, as a jungle gift from the Gods. Mati comes from the Quechua word meaning pumpkin or Gourd which is traditionally used to drink Mate tea. Yerba means grass in Spanish, it can also mean pot or herb. Yerba mate grows wild in the sub tropical jungles of South America. Yerba mate is made from brewing the naturally caffeinated, nourishing leaves of the South American Holly Tree (Ilex paraguarenis) which grows in Brazil, Paraguay, Uruguay, Argentina and Bolivia. Yerba mate is a shade sub tropical natural plant which thrives in it's natural environment where it grows prolifically with high humidity and in the shade of the 10th to 30th parallel rainforest canopy. Mate harvested naturally from wild plants is superior to farmed, sun grown Mate which requires 1500mm (60 inches) yearly rainfall. Mate is the daily drink of choice for millions in Argentina, Brazil, Paraguay, Chile and Uruguay where it is sipped from a Mate Gourd through a hollow tube called the Bombilla. Yerba Mate is also the way millions around the world enjoy starting their day or sharing time with family, friends and guests. Brazil grows the most Mate, while Syria imports more Yerba Mate than any other country, the enjoyment and habit of drinking Mate was brought to the Middle East by emigrants returning from South America. What a small world to see Lebanese and Syrian families enjoying Mati from their Gourds and Bombillas! The Gourd is usually passed in a clockwise circle from person to person, the Gourd is given back to the brewer after each person finishes which signifies that they don't want any more. Each person drinks the entire gourd: "you share the vessel, not the liquid." The recipient of the gourd has as much time as needed to finish the gourd full. Mate can be rebrewed many times, which makes Mati very economical. How Does Yerba Mate Taste? It is said that Yerba Mate has the "strength of coffee, the health benefits of tea, and the euphoria of chocolate" all in one beverage. This stimulating herbal drink is brewed from the dried leaves and sometimes stems of the plant. Mati is unique in that it can stimulate the mind and give you a pleasant jolt without the coffee associated jitters. Yerba Mate is slightly bitter from the leaves and the tannin content, Mate with more sticks and stems will offer a more woodsy flavor than straight leaf Mati. Performance Mate with blended herbs to enhance your performance. Mountain Rush Mate features Organic Yerba Mate, with Yerba Mate extract (for the rush) along with almond, hibiscus flowers and elderberries for that wild mountain flavor. Kokopelli Energy Mate blends offers the easiest way to enjoy Mate, just add hot water and decide whether you'd like Cacao, Cinnamon, White Chocolate or other additions to spike up your Mate. La Potente offers 85% Organic Yerba Mate and 15% Catuaba bark. Catuaba (pronounced ka-twa-BAH) Catuaba has been used for centuries by the Brazilian Tupi Indians. It is well known in Brazil for its impressive physiological and psychological benefits. The Catabua bark was used by the Tupi to relieve pain, improve memory, ease depression, and control anxiety. In fact, the Tupi were so enamored of the powers of this tree bark, they even spread the word to other tribes and wrote songs celebrating its amazing benefits. Catuaba is used in traditional Brazilian medicine as an aphrodisiac and central nervous system stimulant. These claims have not been confirmed in scientific studies, but a journalist for the Discovery Channel claims that "reports in scientific journals and at conferences have supported [catuaba's] use for sexual enhancement. In catuaba, a group of three alkaloids dubbed catuabine A, B and C are believed to enhance sexual function by stimulating the nervous system." Acai Mate Blend lets you enjoy two super foods. Studies have shown that this little Acai berry is one of the most nutritious and powerful foods in the world, it is packed full of antioxidants, amino acids and essential fatty acids. This exclusive blend contains: Yerba mate with Acai Berry extract, dried blueberries, dried elderberries, almonds, roasted carob bits, sweet stevia, and topped off with our exclusive Yerba Mate extract for twice the lift of traditional yerba mate. Try something unique, smooth and tasty with quite a punch Cremoso blended with the finest Organic Yerba Mate and creamy Cacao Butter, which is melted into the leaves with all natural vanilla flavor. Put on your seat belt, because you are about to go on a ROLLERCOASTER of a RIDE!!! These natural flavor extracts are FIFTY times stronger than any other extract on the market... AND... The available flavors are RARE for Extracts, taste AMAZING!!! Plus they are alcohol free and with no other harmful ingredients. These extracts are made by a cold process extraction. They are not cooked at any high temperatures and are considered 'Raw'. These Extracts are ideal for raw foodists and are Wildcrafted or Sustainably Organically Grown!!! Every Single one of these flavors is OUTSTANDING, unique, and POTENT!!! Just a couple of drops gives you a luscious new flavor. Not just for Yerba Mate, but also Coffee, Tea or Cacao with or even without Cannabis! Mate Preparation Mate can be traditionally brewed with the Gourd, an Espresso machine, French Press, Coffee Pot, served hot or cold, or enjoyed with the convenience of Tea Bags. If you plan on drinking Mate frm a traditional Gourd it must first be cured to seal the pores and remove any vegetable meat left in the gourd. This Yerba Mate Video shows you how it's done. Some prefer to use Coconut water, Coconut milk or other milk with their Mate, the possibilites and combinations of drinking Mate are endless. In 1964 the Pasteur Institute concluded that Yerba Mate contains "practically all of the vitamins necessary to sustain life, it is difficult to find a plant in any area of the world equal to mate in nutritional value." There are no rules, mix, match and combine your favorite ingredients. These Yerba Mate drinks can be enjoyed hot or cold and will help inspire you to create your own favorite Mate drinks! Don't forget some of the other delicious, healthy herbs that blend beautifully with Yerba Mate. your favorite sweetener if desired Bring water to a boil, pour over Mate, add Maca, sweetener and milk, steamed or cold. Serve warm or add ice cubes for cold refreshing Yerba. 1/2 cup or more Coconut water Bring water to a boil, pour over Mate, add Coconut water and serve warm, or add ice to cool. 2 C Ginger Ale Bring water to a boil, pour over Mate, add Ginger root and allow to steep for several hours. Add ice and Ginger Ale and use your Bombilla to filter the Mate and Ginger pieces. What's Happening In Your State or Country? 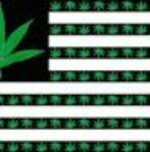 Nobody can tell it as well as somebody in the area, are there new laws, customs or other interesting news related to Marijuana legalization that you'd like to share?